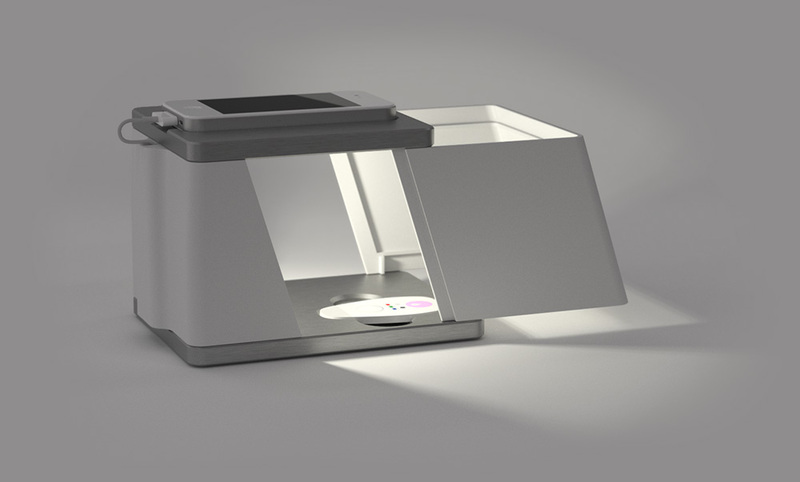 We helped Calmark design a custom-made lightbox for their point-of-care blood analysis system. Note: This is a previous system. 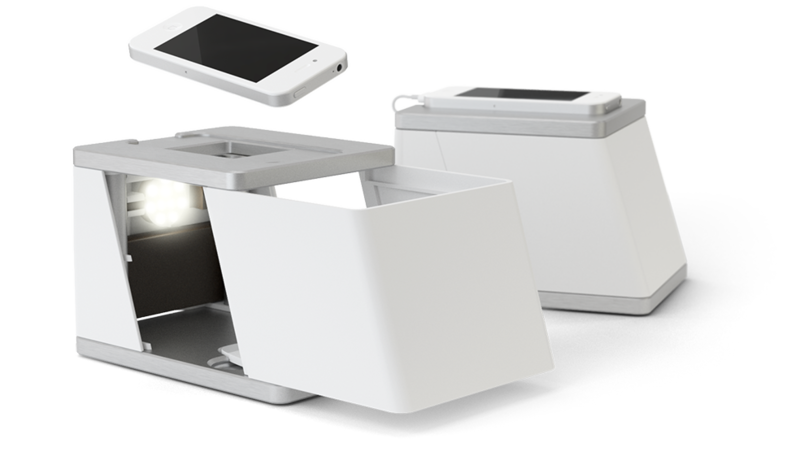 The current product has a different set of components. 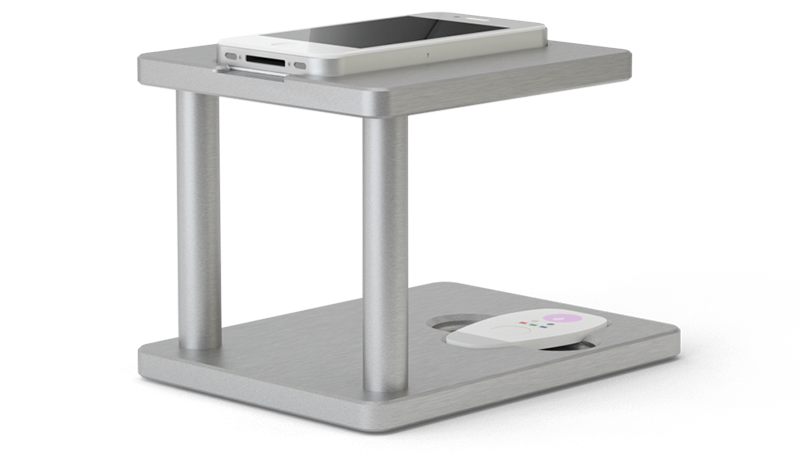 Calmark’s system utilizes the camera and interface of a standard smartphone together with their patented “Hilda” blood sample token to analyze blood in point-of-care contexts, e.g. at childbirths. The blood sample is applied to the “Hilda” token which is placed in the aluminum mount. 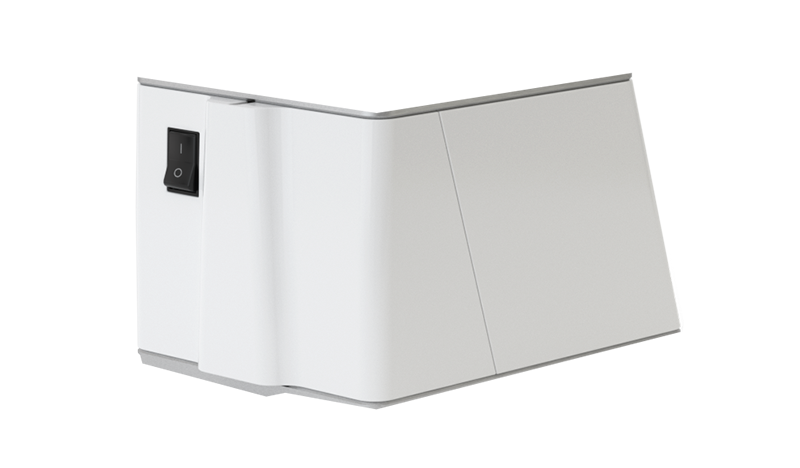 The smartphone camera then analyses the sample and presents the result to the user. The custom-made lightbox with integrated LED light fixture and power transformer makes sure the camera has the exact same lighting conditions every time, regardless of the surrounding environment.